This is the new Nigeria 2018 home football kit by Nike. 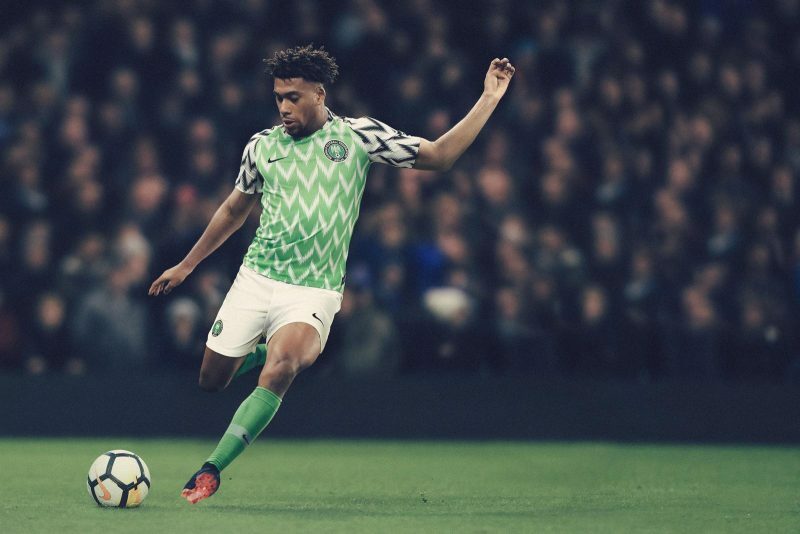 The home kit pays subtle homage to Nigeria’s ’94 shirt (worn by Nigeria’s first team to qualify) with its eagle wing-inspired black-and-white sleeve and green torso. 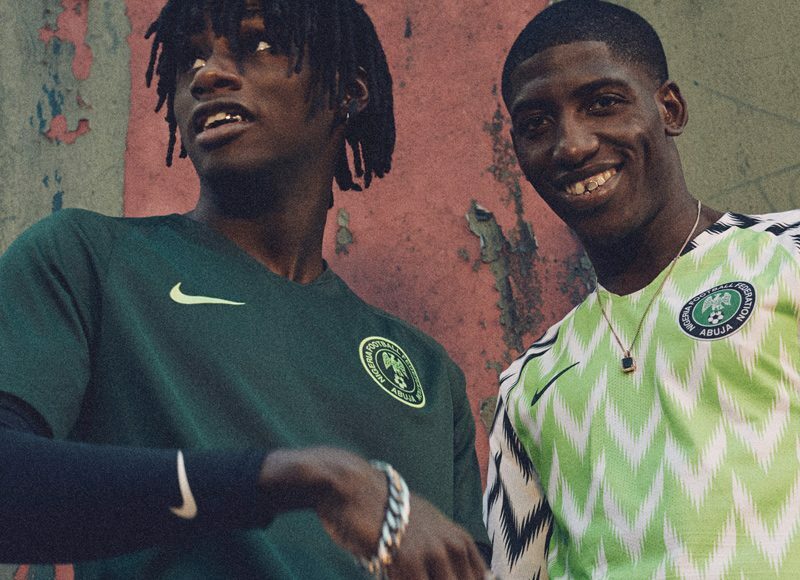 Inspired by the national team’s first World Cup appearance in 1994, the Nigeria 2018 Nike Home football shirt has a bold feathered pattern across the traditional green body and white sleeves that is guaranteed to stand out. Raglan sleeves allow a natural range of motion, while tape at the back yoke stretches with your movement. The recoloured federation crest – a throwback to the team’s 1996 Olympic victory in Atlanta – is embroidered on the chest. The same pattern also appeared in the Nigeria sports jacket, pre competition warm-up training shirt and training costumes. The ribbon on the shoulder of the training dress is printed with the word “Super Eagles”, which is the nickname of Nigeria team for many years. The sleeves of the sports jacket are printed with the word “NAIJA”. 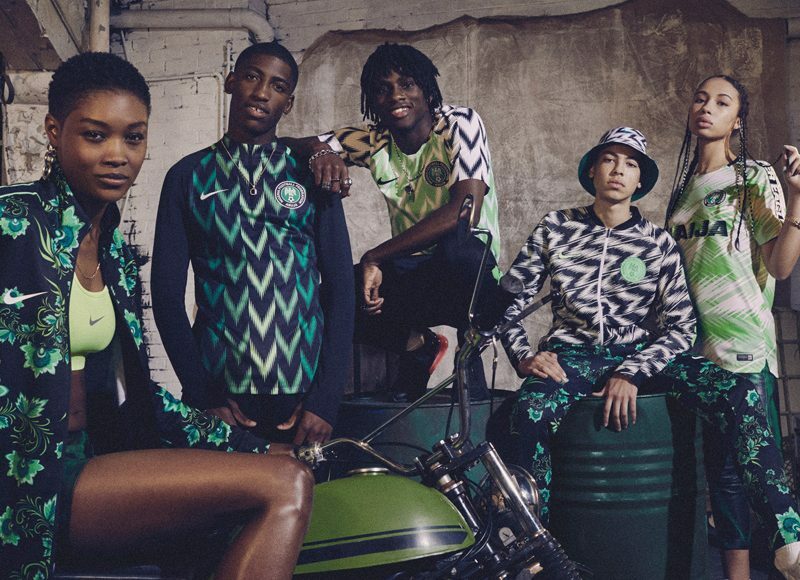 Nike revealed the new Nigeria 2018 away football kit. 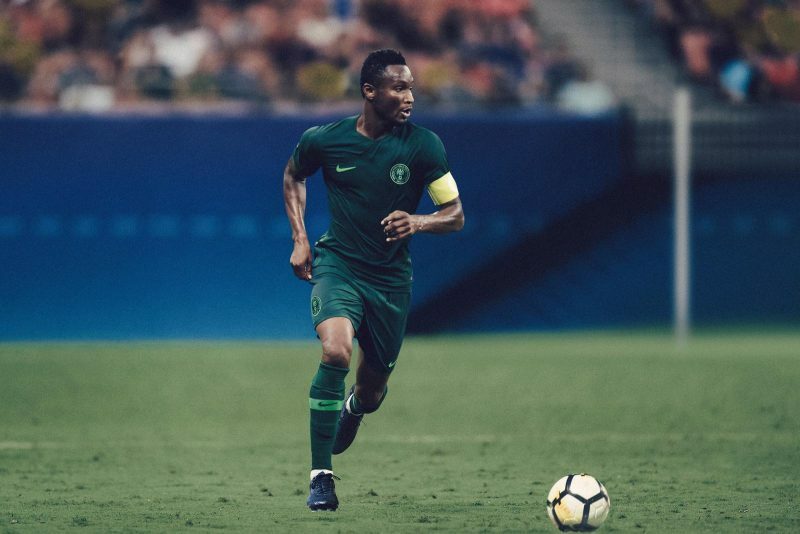 As a natural contrast to the home kit, the away kit introduces a cool, refined vision of a classic Nigeria full-green strip.